Kate Hopper is author of Ready for Air: A Journey through Premature Motherhood. During the month of October, she is participating in a blog tour and running a contest in which entrants have the opportunity to have Kate visit their book club in person (locally) or via Skype. Enter here. What inspired you to write Ready for Air? When Stella was born prematurely I had to withdraw from graduate school in order to care for her at the hospital and then at home. I had been writing for a few years, but it was during the long winter after Stella’s birth that I first felt desperate for words. I craved stories that would reflect some of the conflicted emotions I was experiencing as an isolated new mother, and I also knew that I needed to get the details of my new reality down on the page. But I couldn’t think much less write in those early months. Stella was five months old when I began to write again. One evening I went to the coffee shop by our house and pulled out paper and a pen. But instead of returning to the half-finished pieces I had been writing before Stella’s birth, it’s was Stella’s story that came out. I began with an image: my daughter, writhing on white blankets, beamed from the NICU into the television set in my hospital room days after she was born. As soon as that image was down on paper, other images followed. After an hour, there were tears in my eyes, and words covering the page. And for the first time since Stella was born, the world felt a little bigger, and I felt a little less alone. The story felt urgent to me in a way that my previous writing hadn’t. I wanted to write an honest account of early motherhood and what it felt like to have a baby in the neonatal intensive care unit. I wanted to write my truth without sugarcoating it. That’s what got me started. I hope readers will be inspired to write their own stories and to think about how sharing their experiences might bring hope to another person. For me, this book is really about how stories connect us to one another. So let’s do that for each other through writing, through sitting down and talking to each other—about the hard stuff, the beautiful stuff and everything in between. Stella was born prematurely because you developed preeclampsia. Can you talk a little bit about that and what you hope your book might do to increase awareness about preeclampsia? Preeclampsia is a pregnancy-induced disease that is characterized by high blood pressure, edema, and proteinuria. It affects 5-8% of all pregnancies and can lead to seizures, stroke, organ failure and death of the mother and baby. It’s responsible for over 76,000 maternal deaths and 500,000 infant deaths worldwide each year. It’s really terrifying. The good news is that in the last decade there have been some research breakthroughs leading to a better understanding of the causes of the disease. Hopefully continued research will provide effective treatments. In the meantime, I hope that my book will help spread awareness about the symptoms and the severity of the disease. As a teacher, you discuss writing the hard parts of motherhood and how writing can be therapeutic and still be art. Can you talk about this in relation to your own memoir? At readings and in interviews over the years, I’ve heard authors—specifically memoirists and essayists—claim that the process of writing their stories wasn’t therapeutic, and I’m always curious about that. I think writers sometimes fear that if their writing is tied in any way to “therapy,” it will somehow undercut the work they’ve put into crafting it. But I believe that you can experience a therapeutic transformation in the writing process and still end up with art. Writing about Stella’s birth and that first challenging year definitely helped me process that experience and let go of it. Sometimes I would come away from writing feeling drained because I had to relive the trauma of those early weeks. But once a scene or moment or memory was down on the page, it lost some of its power over me, and I could look at it as a writer rather than as an overwhelmed new mother. That’s when I could begin crafting it: tweaking my sentences, deepening scenes, making sure I had enough reflection, etc. The catharsis often comes by getting your experiences out of your head and onto the page. Then in the revision process you have to make sure you have crafted that experience to the best of your ability. One phase doesn’t diminish the other. Why is motherhood literature important? I’ve been reviewing motherhood literature and working with mother writers for almost a decade now, and I’ve read so many really amazing memoirs and essays during that time. These pieces deal with issues of identity, with loss and longing, neurosis and fear, ambivalence and joy—the stuff of life. But because this work also has to do with motherhood, with children, it’s often boxed up, labeled “momoir,” and discarded as unimportant or not literary enough. But we need these stories to sustain us, to help break down the myth of motherhood. I love what Debra Gwartney, author of Live Through This: A Mother’s Memoir of Runaway Daughters and Reclaimed Love, says: “A well-written book [about motherhood] is going to say something profound about the human condition, and we need to hear the voices of women who can express the plight we’re all in as humans.” Amen! How can writing the hard parts of motherhood help others? When the gritty, the heartbreaking, and the gorgeous and breathtaking parts of being a mother are given voice—and space—to exist side by side in literature, we can begin to chip away at the myths that surround motherhood. And coming face-to-face with our mother fears on the page cannot only help us lay them to rest; it can help other mothers who might someday read our words. In Ready for Air you write a lot about your husband, Donny, and your lives together. Was this challenging? Did you get his approval before the book was published? Our relationship is a really an important part of the book. Marriage is wonderful of course, but it’s also messy and lots of hard work. When you add a crisis to that mix, things get even more difficult. So part of the story in Ready for Air is how we make it through that really challenging year together and whole. I’m interested in the ways that men and women deal differently and/or the same with crisis and the unexpected, so I knew I’d have to write about the inside of our marriage. When I began writing the book, I actually struggled to get Donny down on paper in a way that made him come alive. When I was in front of my computer, I couldn’t remember how he held his head, what his mouth did when he was nervous, and so on. I had taken all of those gestures for granted, and I couldn’t tease them apart. So I had to go home and really study him in order to get his mannerisms onto the page. Donny read the manuscript a number of times, and he had veto power, both in terms of what I write about him and us and also what I write about his family. He’s a private person, so I wanted to make sure he felt comfortable with me sharing what I shared about us. Interestingly, he only asked me to change one small detail in the whole book. Changing it didn’t alter my memory of the emotional truth of the scene, so I changed it. He’s my biggest supporter. It’s the least I could do. I’m working on a proposal for a ghostwriting project, a memoir about a family that has identical twin, 23-year-old sons who are marathon runners despite the many challenges they face due to severe autism. It’s an amazing story, so I’m looking forward to continued work on that. I’m also very slowly working on a novel. My goal for the coming year is to carve out the time to work on it regularly. 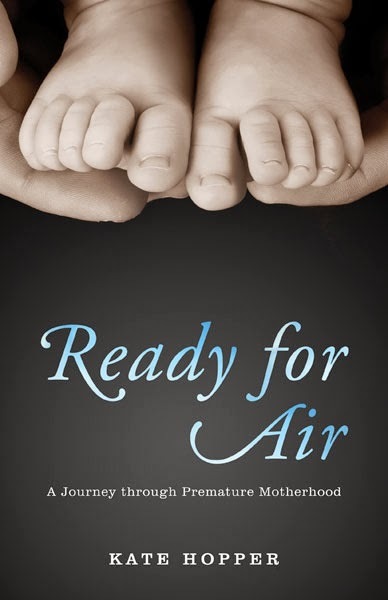 Kate Hopper is author of Ready for Air: A Journey through Premature Motherhood. 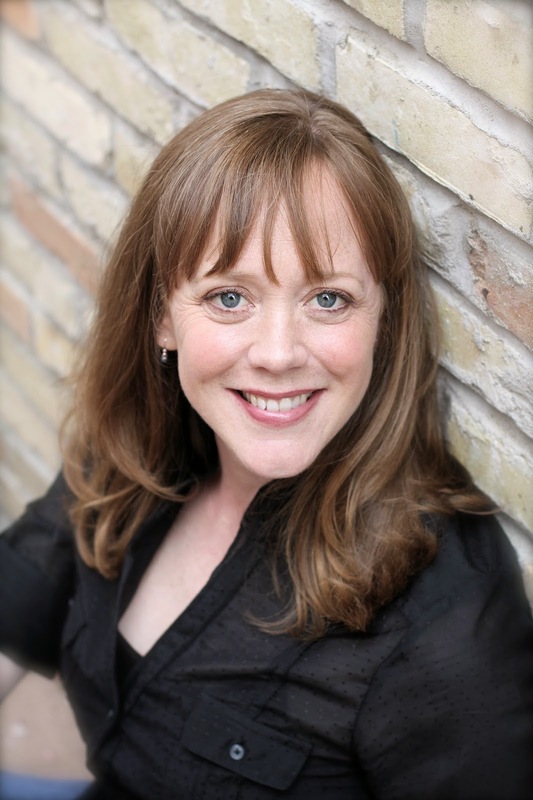 She teaches writing online and at the Loft Literary Center in Minneapolis, where she lives with her husband and two daughters. She is currently running a book club contest; if you would like the opportunity for her to visit your book club in person (locally) or via Skype, please see directions to enter here. The fact that technology has allowed more and more mothers today to connect to each other, motherhood has become more bearable, more doable, more easier(? ).